After visiting the Manchester University hosted Affective Fabrics of Digital Cultures-conference I thought for a fleeting second to have discovered affects; its the headache that you get from too much wine, and the ensuing emotional states inside you trying to gather your thoughts. I discovered soon that this is a very reductive account, of course — and in a true Deleuzian spirit was not ready to reduce affect into such emotional responses. Although, to be fair, hangover is a true state of affect – far from emotion — in its uncontrollability, deep embodiment. My take was to emphasise the non-organic affects inherent in technology — more specifically software, which I read through a Spinozian-Uexkullian lense as a forcefield of relationality. Drawing on for example Casey Alt’s forthcoming chapter in Media Archaeologies (coming out later this year/early next year), I concluded with object-oriented programming as a good example of how affects can be read to be part of software as well so that the technical specificity of our software embedded culture reaches out to other levels. Affects are not states of things, but the modes in which things reach out to each other — and are defined by those reachings out, i.e. relations. I was specifically amused that I could throw in a one-liner of “not really being interested in humans anyway” — even better would have been “I don’t get humans or emotions”, but I shall leave that for another public talk. “I don’t do emotions” is another of my favourite one’s, that will end up on either a t-shirt or an academic paper. Arns’ text highlights the politics of software and its experimental and non-pragmatic nature, and resonates with what I outline here. 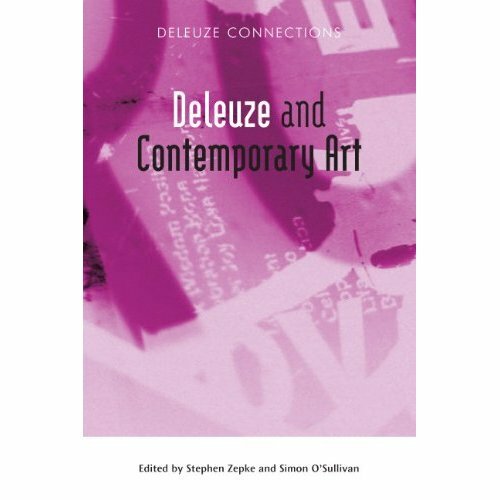 Nevertheless, I want to transport these art practices into another philosophical context, more closely tuned with Deleuze, and others able to contribute to thinking the intensive relations and dimensions of technology such as Simondon, Spinoza and von Uexküll. To this end I will contextualise some Deleuzian notions in the practices and projects of software and net art through thinking code not only as the stratification of reality and of its molecular tendencies but as an ethological experimentation with the order-words that execute and command. The Google-Will-Eat-Itself project (released 2005) is exemplary of such creative dimensions of software art. Authored by Ubermorgen.com (featuring Alessandro Ludovico vs. Paolo Cirio), the project is a parasitic tapping in to the logic of Google and especially its Adsense program. By setting up spoof Adsense-accounts the project is able to collect micropayments from the Google corporation and use that money to buy Google shares – a cannibalistic eating of Google by itself. At the time of writing, the project estimated that it will take 202 345 117 years until GWEI fully owns Google. The project works as a bizarre intervention into the logic of software advertisements and the new media economy. It resides somewhere on the border of sabotage and illegal action – or what Google in their letter to the artists called ‘invalid clicks.’ Imperceptibility is the general requirement for the success of the project as it tries to use the software and business logic of the corporation through piggy-backing on the latter’s modus operandi.